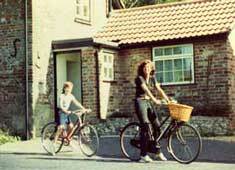 In 1980, Su was delighted when her wish to move to the country-side with her daughter Katie, became a reality. Together they spent many blissful hours walking through woods and across meadows. On many occasions Su also found herself in the company of various forms of wildlife including: deer, hares, birds and voles – sometimes these precious encounters have been at such close quarters that she has hardly dared to breathe. 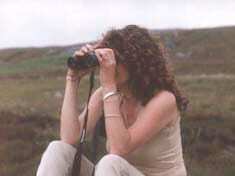 On one particular occasion, whilst sitting in the woods, Su saw a stoat moving her family from one den to another. The stoat, so preoccupied with her duties, failed to notice Su’s presence and continued to carry each kitten too and fro in front of her. On another occasion, as Su sat at the foot of a huge old beech tree, a group of 4-5 fallow deer wandered into the clearing yards in front of her and after noting her presence, to her amazement, continued grazing. Precious moments, she will always treasure. In her spare time, Su would also draw the plants and animals around her. Sketching and studying her surroundings; she has always enjoyed using as reference the items collected whilst out walking. Feathers, leaves, discarded egg shells, skulls and bones are all included on her ‘nature-table’. Self-taught and working from home, Su entered a Dorset Art Magazine art competition in 1989, and was awarded First Prize for her ‘Dandie Dinmont Terrier’ pencil drawing. 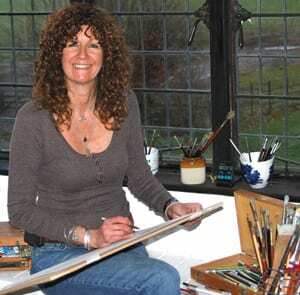 Concentrating on painting Wildlife and Pet Portraits, a year later she exhibited her work alongside many well known artists at the Mall Galleries in London, as well as galleries in the South. 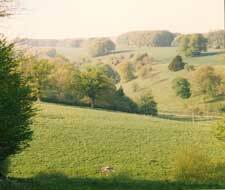 In 1989, Su also moved to the Larmer Tree Gardens in the village of Tollard Royal, Wiltshire, and began to establish her reputation as a self-employed artist. The Larmer Tree Victorian Gardens, created by General Pitt Rivers in 1880, contain a wonderful collection of ornate buildings, majestic trees and intimate arbours. Situated in the middle of Cranborne Chase and surrounded by woodland walks and stunning scenery, Su has always felt very privileged at being able to live and work in such beautiful surroundings. After working as a self-taught artist for a number of years, Su was delighted when, in 1994, she was accepted on a Natural History Illustration course at Bournemouth and Poole College of Art and Design. Whenever possible during the course, Su would incorporate her concern for endangered species within her artwork, and in 1998 she graduated with an HND qualification in ‘Natural History Illustration’. Whilst at college Su practised using various mediums and different artistic approaches to painting. Life drawing lessons in particular gave her the confidence to express herself more freely, and is, she believes, an important exercise in the process of learning to draw. Lectures on the History of Art, reading about the lives, travels and techniques of the old masters, as well as learning about modern day artists, opened a whole new world to her. The work of Constable, Monet, H.H. La Thangue and Durer are just a few of her favourites and she also very much admires the work of the internationally renowned wildlife artists: Ray Harris Ching, Robert Bateman and Carl Brenders. Su’s love of nature is reflected in her artwork; her choice of subjects is varied and her paintings and fine art prints can be found in private collections throughout the U.K, United States, Indonesia, Saudia Arabia, Canada, Australia, New Zealand, China, Africa and Sweden. Capturing the character of each subject and using a variety of media including oil, pastel, pencil and gouache, her illustrations are also available as greetings cards, fine art prints and a variety of designer gifts. In 2002, Su and her fiance Brian were married on safari, in South Africa. In KwaZulu-Natal they saw Leatherback turtles, and in Hermanus, Su finally saw her very first whale. After 29 years of campaigning and promoting the conservation of whales; to actually see Southern right whales breaching, spy-hopping and lob-tailing in their natural habitat, close to the shore – was an experience she will never forget. In 2003, Su invested in her own Fine Art Printer and soon after, she learned that Birute Galdikas, founder of the Orangutan Foundation, and a lady whom she greatly admired and had supported for many years; was giving a lecture at the London Zoological Society. 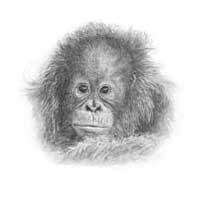 Su booked her tickets for the event and was delighted to receive a call from the Orangutan Foundation requesting permission to use her ‘Baby Orang’ drawing for the invitations. Thinking that life could not get any better; Su was then invited by the Orangutan Foundation to display her artwork, her new fine art prints and greetings cards at the Zoological Society seminar. The evening was a very special event and, to top it off Su met Birute and was able to give her a fine art print of her ‘Baby Orangutan’ artwork. Su’s love of wildlife extends to all creatures ‘great and small’ and in 1996 she became a member of the Dorset Bat Group. Since then she has conducted bat surveys and counts for the Bat Conservation Trust, Dorset Wildlife Trust and the Vincent Wildlife Trust. Having been interested in bat welfare for so many years, Su became a Registered Bat Rescuer & Carer in 2003. In 2005, Su converted her little Larmer Tree home into her ‘Studio’ and ‘Larmer Tree Gallery’. During the following years her business expanded: her work consisting of commissions, portraying wildlife, running her gallery, website, printing her artwork and unbeknowst to her, she was also becoming well-known further afield. Having always dreamed of illustrating a natural history book, Su was delighted when in 2006 she was invited to illustrate a book on Wolf Conservation written by Dr. Marco Musiani, a Professor at Calgary University, Canada. 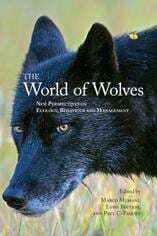 For the following 19 months she worked closely with the author and Denise Taylor from the UK Wolf Conservation Trust. For Su to be given the opportunity to sketch, draw and be with wolves at such close quarters; whilst also working to help keep wolves in the wild; was a super and unforgettable experience. 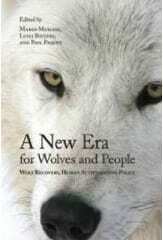 Two books containing Su’s artwork: ‘A New Era for Wolves and People’ and The ‘World of Wolves’, were published in October 2009 and 2010, and launched at the UK Wolf Conservation Trust in Reading. During November 2008, the Editor of the ‘Artists and Illustrators’ magazine also contacted Su inviting her to describe her journey into the world of printing. Her article on the production of her Fine Art Prints and Greetings Cards was published in December 2008. A week after submitting her article, Su was then invited to write a feature about her life as a ‘Pet Portrait Artist’ which was subsequently published in the ‘Artists and Illustrators’ – March 2009. In September 2009, Su was also delighted to be signed with the Wildlife Art Company; established by Mark Cawardine and Rachel Ashton. Mark Carwardine is the world renowned BBC zoologist, photographer and author. The Wildlife Art Company – a natural history agency for Wildlife Art. During this period everything slowly came to a grinding halt as both Su’s parents became seriously ill and were in need of full-time care. Commissions had to be cancelled, artwork put on-hold and her Larmer Tree Studio door was closed. Meanwhile, the BBC was holding its first ever ‘Wildlife Artist of the Year’ competition, and Su entered a couple of artworks. To be selected as a Finalist with her pastel Wolf portrait, was an absolute joy. She was also delighted to be accepted as a Signature Member of the ‘Artists for Conservation’ Society; a leading artist group supporting the environment, protecting species and wild places. All causes dear to Su’s heart. 2018 and finally back on track. During the summer Su entered the Dorset Art Prize Competition organised by Bournemouth University. Her 4th competition in 29 years! In October, she learned that she’d won the £1,000 First Prize!!! A lovely surprise, which will also go a long way to helping forward her Art and Conservation work. Larmer Tree Studio is once again open….. and Su is now catching up with artworks and ideas that have been on-hold for the past few years. If you are in the area please feel free to pop-by and say Hi, and don’t forget to keep a watchful eye on her on-line Gallery!